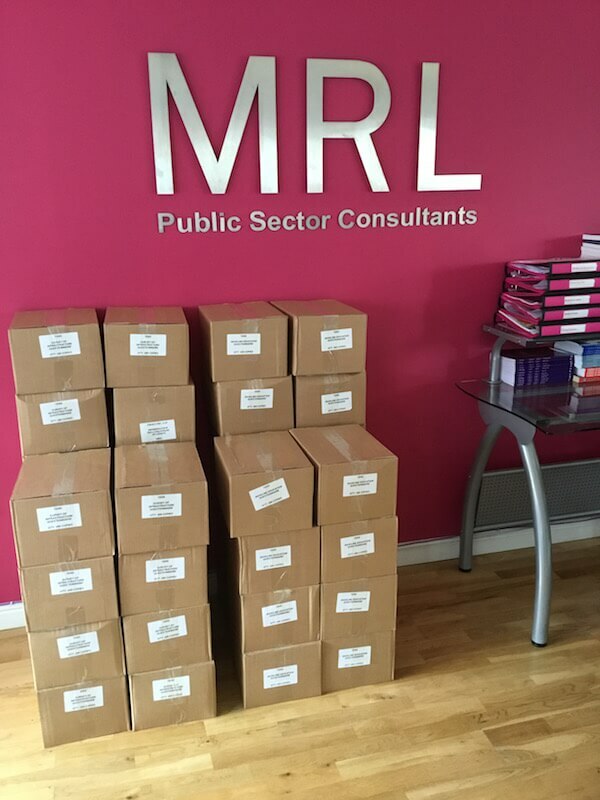 MRL Public Sector Consultants took delivery of the 8000 baseline educational statistics and infrastructure questionnaires for the Niger State Government, as part of the Transforming Education in Niger State (TENS) Programme. The questionnaires have been developed by MRL Public Sector Consultants, with support from the University of Cambridge – Faculty of Education. This is a key milestone for the programme, with the commencement of the survey underway. 1,250 unemployed graduate enumerators have been recruited to take part in this exercise, which equates to 50 graduates in each of the 25 local government area across the 274 wards in the state. All primary and secondary schools (the scope of the TENS Programme) will be visited by enumerators who are indigenes of the local area. The baseline questionnaire will be used to determine the exact number of schools, pupils and teachers in the sector. This will enable the Niger State Government to plan for current and future educational provision, with the ultimate aim of significantly improving the educational system. The infrastructure questionnaire will be used to assess the current state of facilities to enable the government to renovate existing schools under a comprehensive building programme which constitutes part of Phase II of the TENS Programme and to plan for current and future infrastructural provision.